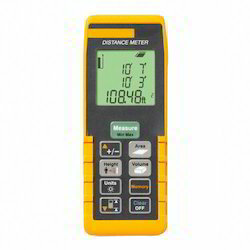 Prominent & Leading Wholesale Trader from Mumbai, we offer distance meter, cb-1001 distance meter, digital distance meter cb-1005 and digital infrared thermometers. Auto-off:30 secs if no operation. Measure units: Foot or Meter. 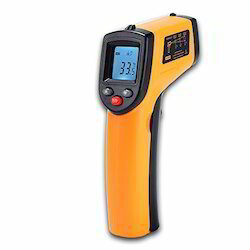 With a simple, 3-button on-screen menu interface (in 6 languages) the Fluke 568 and 566 digital laser thermometers make even complex measurements easy. 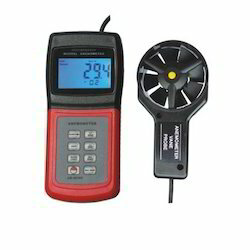 Quickly navigate advanced features to adjust emissivity, start data logging, or turn on and off alarms – with just a few pushes of a button.With a rugged, easy-to-use, ergonomic design, the Fluke 568 and 566 two-in-one contact and non contact thermometers can stand up to tough industrial, electrical, and mechanical environments. These tools go beyond other IR thermometers (or pyrometers), helping you work more efficiently in more applications. 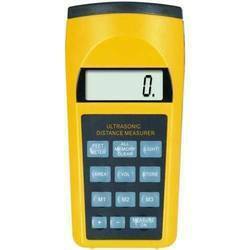 Looking for Distance Meter ?